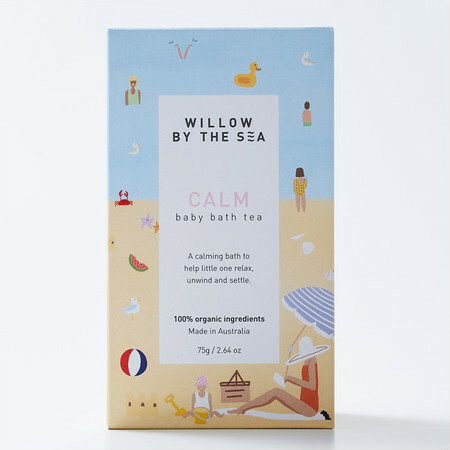 This Willow By The Sea CALM Baby Bath Tea is a comforting blend of organic ingredients designed to relax your little one as it gently cleanses and nourishes. 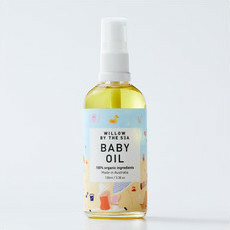 An ideal alternative to soap, it combines antioxidant-rich, anti-inflammatory botanical ingredients, including Chamomile Flowers, Calendula Flowers, Lavender and Linden Flowers, and is formulated to keep baby's skin smooth and hydrated as it helps to calm and promote restfulness. Australian made & owned. Certified Organic, Vegan. Packaged in a biodegradable cellulose bag. 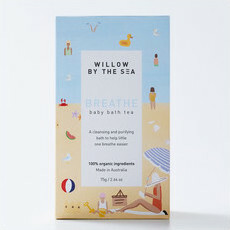 Fill one provided muslin tea bag with baby bath tea and pull string tight. Place in warm bath water and let it soak for two minutes. Gently squeeze the bag to release the tea into the water. Place baby in the bath. The Tea bag can be gently rubbed over baby’s skin and head to cleanse. A lovely way to bath baby. 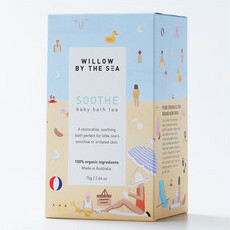 This baby bath tea is lovely. It comes with a cute little wooden scoop and reusable muslin bags. 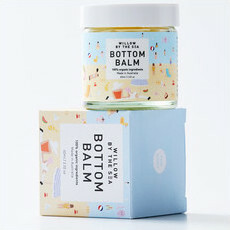 The packaging is gorgeous but the product is beautiful and unique.